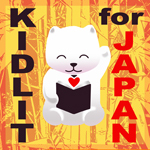 Just a quick note to let you know that my auction item is up at the KidLit4Japan auction. I’m donating a copy of my book, The Writing & Critique Group Survival Guide, plus a critique of either your novel’s first chapter or your complete picture book. You can check out my specific auction here, but be sure to check out all the other donations, too. There are some great items, and–obviously–it’s a wonderful cause.